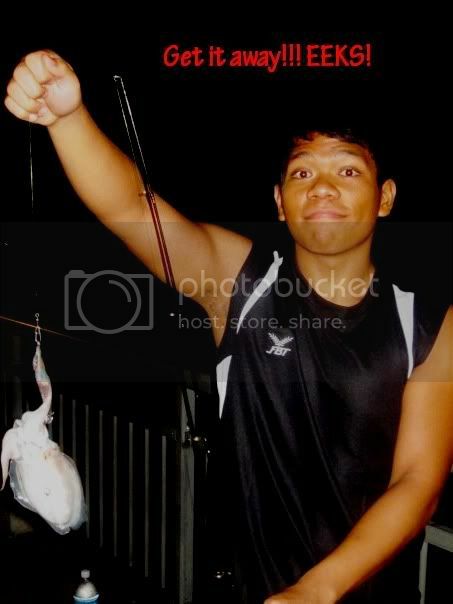 Recently, i got to know this Poly schoolmate of mine whom i just found out also fishes... So late night after i book out and saw my MSN, we made a trip to FW3 the next morning. Here is some seasickness information and what you can do about it. Seasickness can spoil the fun out of an offshore trip so always be prepared! 4)Look far towards the horizon and do not concentrate too long on a single object near you. 5)Sleep with your head facing either the Stern or Bow. Depending on which side is of a higher elevation. Do not sleep sideways and always keep your head on the higher elevation. As long as your blood is flowing downwards towards your legs, you will not have any complications after you wake up; headaches, seasick, etc. It's a search for anything under the sun. You can check out various fishing suppliers, prawn ponds and tackle shops. These maps feature some suppliers including Gamakatsu. My first encounter with prawning dated back to 2002. 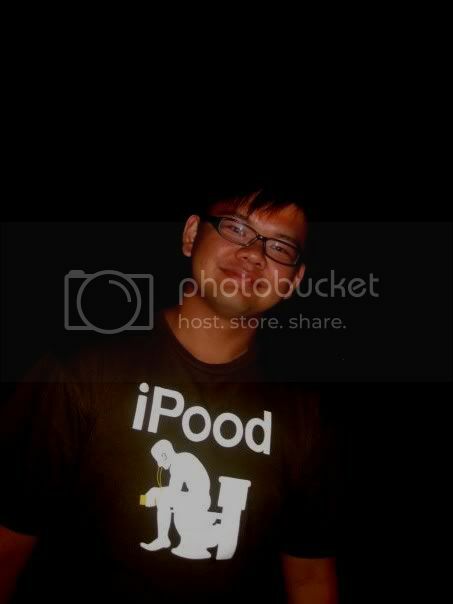 Back then, I hooked up my first prawn near the prawning ponds beside the Downtown East chalets at Pasir Ris. Back then, it was something like beginner's luck but after prawning for awhile, you'll realise that you will need skill as well as luck to have a good prawning catch. 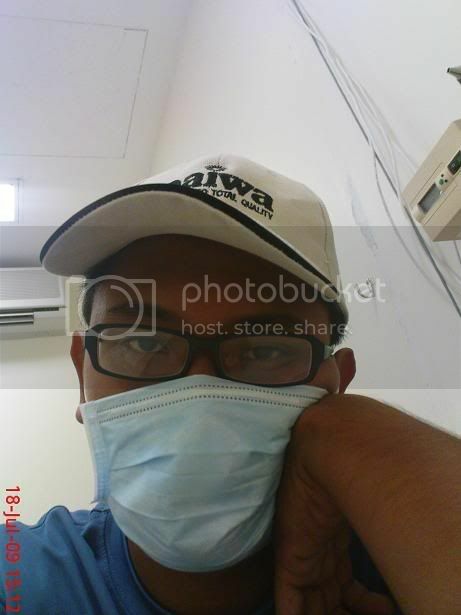 Through hard work and observation, I improved my prawning strategies and tactics and after some sessions of almost 70-80% hookup rate, I somewhat graduated from newbie stage to amateur stage. I would like to share with you guys some very basic prawning tips and trip. This post has since been updated and refreshed as of 25 March 2017. The most basic equipment you need is a prawn rod, floater and hook. All these are provided by the prawning operator and I generally recommend larger hooks which are meant for prawning. These are usually have a larger wider gape. Just google prawning hooks if you're unsure. Make sure your float bobs upright when in the water. If the prawning pond is big, get longer rods to reach a further area. You'll also need the bait which the operator will provide as well. Remember to grab a keep net to store in your prawns in. Common baits used in prawning will be cockles (hum) and chicken liver/heart. Some folks use live mollies which are very effective. Earthworms are sold too and these are also more effective than the usual baits. These days, you can get "shrimp assassin" bait powder which you can use to coat your baits for maximum effectiveness. You will need a pen knife or small scissors for slicing the baits into nice sizes. Here is the most important part of prawning which is hooking up the prawn. Ensure that your bait touches the bottom of the pond because prawns hover around the bottom and not mid water. Most ponds now have a measurement done on the wall and you can adjust the length quickly. If not, use your prawn rod and insert it into the pond tip first all the way down. Once you hit the bottom, make a mental mark on your rod on where the water level is. This means the pond is that deep. Using that mark, adjust your float accordingly so that you have a suitable length of leader for reaching the bottom. Of course, do this gently so you don't damage the rod. 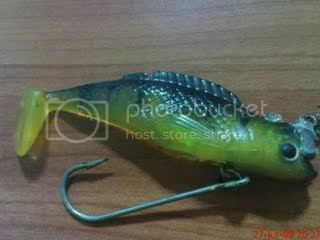 The second but often neglected step is to hook the bait properly using the prawning hook. Cut a piece of bait up and make sure its not too big. Hook it on the tip of the prawning hook. Don't worry about the exposed shank. The trick here is to hook the bait until a little tip is exposed. It is more efficient this way when you set the hook. Too big a bait or if the bait or wrongly hooked, hook ups will be less better. 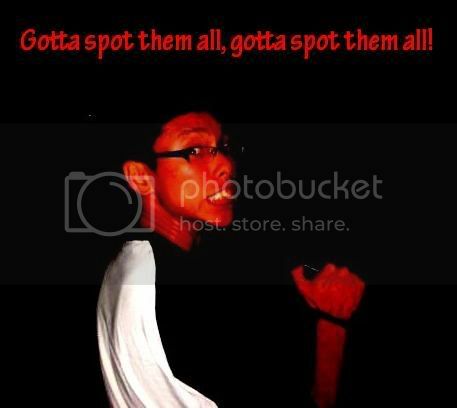 Now you are all ready to put your bait into the water. Your float should be floating like a float and not sideways or sinking. Once you feel your float bobbing up and down or something is pulling it, this is the time to get ready. A big prawn will take the bait and it will feel very heavy (big prawns are like this. They will be very heavy and will not move much). Make sure your line is directly below your rod tip so that you position the rod on top of the prawn. This results in a better hook up since the hook can set upwards and not sideways. Once this is done, SLOWLY raise the end of your rod and the tip should bend lower. This is important and if you do it too quickly, the prawn will let go of the bait. Once you feel the line is relatively tight, strike upwards deftly with a flick of your wrist. The prawn should be hooked up now and the fight is on! Many newbies don't strike or set the prawn (they simply lift the rod) and although this may work sometimes, it is not recommended. You need to set the hook so that it goes in deep. You lift the line and feel a little resistance or the prawn is running with your bait, In fact, your floater is submerged as the prawn makes a world tour around the pond! Don't panic... It is likely a small prawn. Small prawns are very hard to hookup as they are spooked easily and normally run with your bait like a fish. My theory is that they want to get to a more secure spot to have their meal. In this case, let your line go and offer no resistance to the prawn. Once it has stopped running, lift it up slowly. It should now feel the same as a big prawn but less heavier. Repeat the same steps. Note that small prawns will be harder to hook up and there will be a lot of frustration. For small prawns, it is possible to use another technique which is less successful but also workable. When the small prawn takes off with your bait, strike immediately in the opposite direction of where it is running to. Make sure you do this fast and swiftly. The small prawn may get hooked up at the tip or the head area! If you are fighting a big prawn, always remember to go slow and let the prawn tire out. Many newbies often panic and try to bring it in as soon as they hook it up. This sometimes fails since big prawns have harder shells and hook ups may not be as firm. Big prawns also tend to be claw hooked sometimes and this results in more chance of the hook dislodging. When bringing prawns out of the water, take note that there will be a change in resistance. Zero water resistance means the smaller the prawn is when it comes up, the more chance you will have of your rod shooting up to the roof. You don't want to do this especially if there are pretty girls around. Now that you know how to hookup a prawn, the next is finding a prawn. Prawns are scattered across the pond and most of the time, one must be hardworking in order to locate them. A good way to do this is to drag your float and bait around the pond especially around corners, pumps, deeper regions of the pond. If you encounter a prawn, your float will submerge. Do not continue dragging your float. Instead, let go and try to hook the prawn. Make sure your rod is always directly above your line. Now, prawns stick together and if you encounter one, there is a good chance that many will be around the same area. So try the same area! I noticed big blue mountains love deep regions and the center of the pond. They tend to congregate around each other. You finally have your prawn so what's next? How to dehook a prawn? The easiest way is to get a cloth and wrap the prawn while de-hooking it. If the prawn has long pincers, one way is to break them off first and de-hook. At first, it can be pretty squeamish but you'll get used to it. Note that pincers of the blue mountain prawns can be quite strong and sharp! If you are pricked or the pincers are clamped onto your fingers, do not force them by pulling at them! It will tear your skin off. Instead, you can try breaking the claws off and removing them or you can also tap at the pincer and the prawn will loosen it's grip. To be honest though, most of the time, you won't go to hospital by being pricked by the pincers of the small prawns. To show confidence here is a very macho thing to do, especially if there are pretty girls around. Prawning ethics are important especially in a crowded pond. Don't leave your bait lying around. Don't discard broken pincers all over the place and most importantly, stick to your area. When someone is fighting a big prawn, you might want to shift your line away from that guy as big prawns can run around the pond a lot. Also, most importantly, please don't use pork as bait! When to prawn is also a very good question. 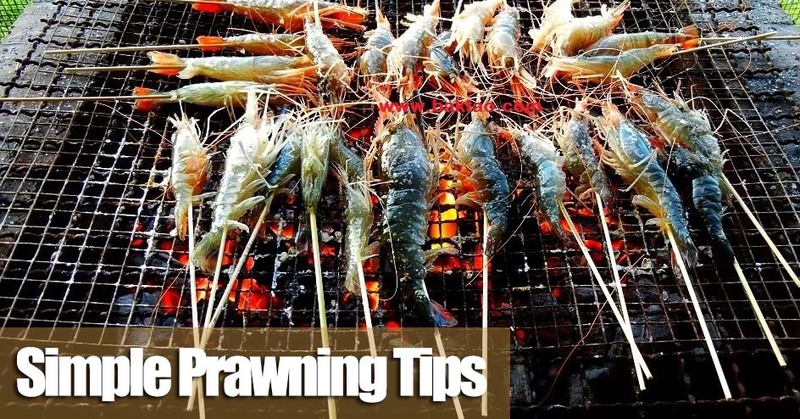 In general, prawns tend to bite less when the water is not clean or they are not used to it (e.g cleaning of pond, new chemicals introduced into pond). I also find that day time prawning bite rates are generally higher. If the prawns are just released into the pond, it will take some time for them to adapt to the pond and start biting. There are also timings when the prawns do not even bite. For me, i use a timing scale. If people near me and me do not hook a prawn up within 5-10 minutes, I will leave and come again another day. Certain prawn ponds like Bishan Haibin Prawning or ORTO Prawning Bottletree park allow you to leave and come again another day to claim your remaining time. Better to come at a time when the prawns are biting then to prawn there like an idiot. This is almost all I've got to share and although the tips here may not prove useful to a pro, I am sure it will be informative for the newbies. Having said this, always try out your own techniques and use my guide only as a reference. Different folks, different strokes! Behold the almost impossible whilst i was doing some fun crabbing today. I brought my brother to a spot that i think will hold some nice mud crabs but its just an experiment so no high hopes. First hour, managed to get hold of some small mud crabs. This was a good sign because if there are small ones, there will be big ones too. I'll be going on a little mission tomorrow...Hopefully i get something so i can post!